Best FASDay Photo Slideshow Ever! Every year on September 9th, International FASD Awareness Day is observed. 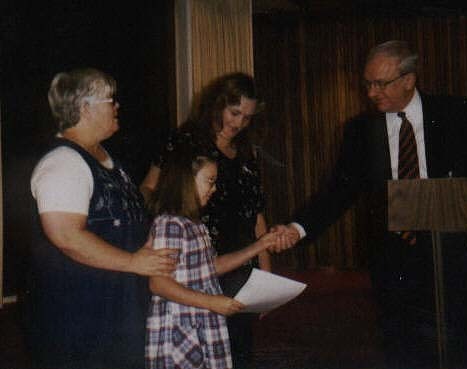 Proclamations are issued in countries, states, provinces, and towns all around the world. Bells are rung at 9:09 a.m. in every time zone from New Zealand to Alaska. People all around the world gather for events to raise awareness about the dangers of drinking during pregnancy and the plight of individuals and families who struggle with Fetal Alcohol Spectrum Disorders (FASD). The first FASDay was celebrated on 9/9/99. This day was chosen so that on the ninth day of the ninth month of the year, the world will remember that during the nine months of pregnancy a woman should abstain from alcohol. Anytime is a good time to raise awareness about Fetal Alcohol Spectrum Disorders (FASD). (1) Pick a Partner! You don't have to do this alone. Grab your phone and call someone in your area. In the US? Lookie here: USA Directory Click on your state. Connect with someone. Here's support in Canada. Here's some international contacts. If you can't afford a phone call outside your area, then email somebody. You don't have to do this alone. There's someone else out there who is willing to help. Ask and you just might receive! (2) Pick a Reporter! Next time you read the local newspaper, pay attention to which reporters write about personal interest stories. Choose a reporter who seems to be sensitive to special family or children's issues, who will do a respectful interview with a family or spokesperson. This spokesperson doesn't have to be you, but it could be! We'll walk you through it - piece of cake. Write down the name of the reporter and find out the phone number and address of the newspaper. Later you are going to ask for an appointment and give them a press release. Here is another example of a good press release. Would you like to conduct a 5-minute radio interview on your favorite radio station? Here is an interview script for you and a radio person or you can just read this one-person script. Before contacting the media, it might be helpful to go over these suggestions from FASDAY veterans, Teresa Kellerman and Brian Philcox. Ring some bells. Plan your own Bell Concordance. Ask a church to ring their bells. I choose to deal with the Catholic church, because the bishop of the diocese can ask all the churches in the city to participate. In fact, the photo is our cathedral here in Tucson . Here is theletter I wrote to our diocese today. It has a sort of pro-life twist, because I know that will appeal to the Bishop. If you know a local church that has bells, write a letter and call and make an appointment to talk to whoever is in charge. Take along a few brochures. If you can�t find any bells to ring, you can simply have a Moment of Reflection. Host a "BreakFASD" (after the bell ceremony perhaps?). You can ask the church if their is a community service group that might like to provide donuts and coffee in the church hall. 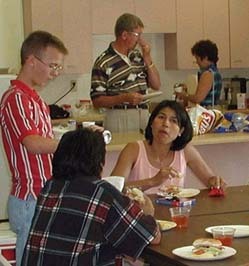 Or invite everyone to bring a potluck dish to a nearby park, or a facility provided by a local disabilities agency. This is a good opportunity to partner up with other organizations who might like to collaborate in future projects and grant opportunities. With an informal gathering of families and community leaders, the folks who formulate local policy will get to meet the children for are impacted by how those policies are implemented. It might also provide an opportunity to start a local support group for parents and families. Start a support group. It only takes two of you to begin with. After the news story, families will reach out to you and you will meet the folks who will do all this work for you next year! Call your local library and reserve a meeting room. Set a date and time that is convenient for you. We are going to meet the day after FASD Awareness DAY this year. The library is a good place, because they usually have computers and Internet access (you might want to reserve an hour, if necessary), and you can show local folks all the cool Internet sights. Some fun and interesting web sites will be provided to you later. 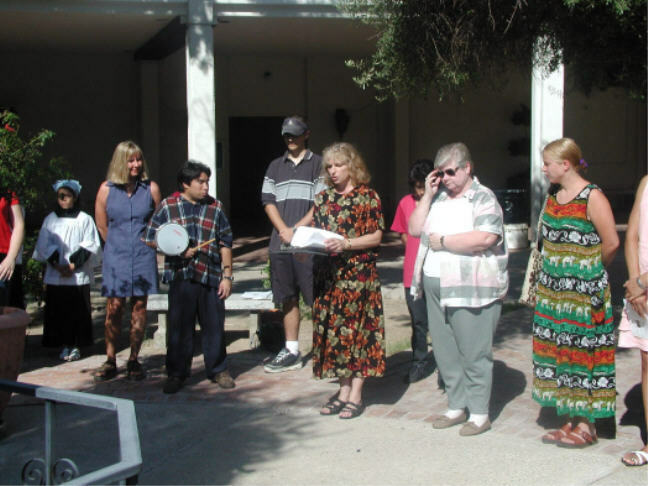 Plan a "Walk-Along" - round up your city's disability groups (like The Arc). Even if you only get a dozen people together and at least one special walker (someone you know with FAS/FAE), you will have a crowd worthy of media attention. This is kind of like a Walk-a-thon but not exactly. It's called a "Walk-Along" to remind everyone that kids with Fetal Alcohol Spectrum Disorders will need someone to "walk along" with them for the rest of their life, because they are at risk of failing if they try to go through life on their own. Instead of pledging dollars per mile, people can make straight donations to support the walker. Donations can be made to an umbrella organization, like your local Arc chapter. Inform your local Arc chapter that the National Arc has made funds available just for FASD Prevention. Our Arc recognizes the need for preventing secondary disabilities as well as preventing FASD itself, and awareness about secondary disabilities is included in Arc awareness events here. More about the "Walk-Along" later. Just find a public place like a park or a lake or a mountain trail that you can use as a meeting place (and media interview place). Look at what Minnesota did! Plan a public Information Table. Call the manager of your local shopping mall. Ask if you can have a table for your FASD Support Group (even if it is only you and your family) to distribute information on Fetal Alcohol Spectrum Disorders. You can print FASD handouts and get them copied at a local disability agency or parent to parent organization or your local Arc. These Think Before You Drink brochures from the Arc are nice. You can download and print these FASD fact sheets. Buy several bags of Snickers mini bars and pass them out with one of these FASD cards. (Use card stock or standard business card forms.) 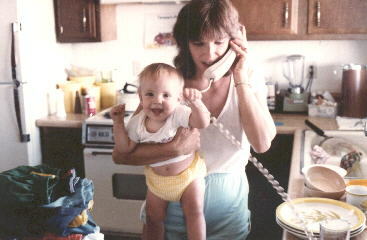 Your local March of Dimes (look in the phone book) might contribute bulk brochures. Oh yes - here's a basic info sheet, very simple, and a documented FASD Fact Sheet, just print and copy. Make some FAS Knots. Or just order them here. Show a video or give a presentation. This can be scheduled at your local library. If you don't feel comfortable giving a talk, your local March of Dimes office (look them up in the phone book) might be willing to provide a speaker and/or a video. You can purchase an excellent video for teens and young adults called "And Down Will Come Baby" for $12.50 by calling the National Clearinghouse for Alcohol and Drug Information (NCADI) toll-free (800) 729-6686 (Inventory Number VHS86). There are a limited number of copies of a good prevention video with Native American theme, �Sacred Trust� available from the same source (Inventory Number VHS100). Register as a Non-Profit organization in your state. You might want to do this anyway, as it will be easier to get donations and apply for grants. It's the first step to becoming a 501(c)(3) corporation. You can do that next year. This year, just register with your state. To find the paperwork you can download from Internet, if your are in the U.S. , go toCharity USA where you will find a link to your state's info on how to register. You just fill out a few simple forms and send them to the Secretary of State. Here is information for becoming tax-exempt in Canada. 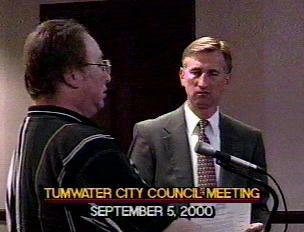 Get a Proclamation signed by your mayor or governor. Here is a sample letter. Here is a sample proclamation, and a proclamation guide. This is probably the easiest thing to do, if this is your first FASDAY. Sometimes the mayor or governor will allow a "photo op" - like Steve in WA or Dayna in KS. It might be a good idea to use this FASDAY Fact Sheet to back up your proclamation statements. Conduct a FASD Teen Survey in your community. Just find one teen who knows 20 other teens, and you will be participating in a nation-wide survey. All this takes is a $5 donation to the teen who conducts the survey to pay for 20 mini candy bars. The survey can be downloaded here. Plan a Pregnant Pause event in your community. This is great fun and involves lots of folks for a fun media event. Pregnant Pause is a contest for creating non-alocholic drinks, where bartenders mix the drinks, and pregnant women judge the drinks and vote on a winner. The recipes can be shared along with a message about the importance of staying alcohol free during all 9 months of pregnancy. Host a Mini FASD Awareness Campaign! This is great for the office - yours or your doctor's - or any reception area that will give you permission. Just a bowl of Snickers mini bars and some FASD Fact Cards are all you need. Details here. Public Service Announcements for local radio and TV stations are available at no cost from NOFAS. Download the radio spots from the NOFAS web site or call NOFAS at 202 785 4585 to receive a tape of the TV spots. View a PSA on YouTube here. More ideas from the first FASDAY in 1999 can be found in the �How to do FASDAY� online manual. Click on #12 Ideas and Examples. 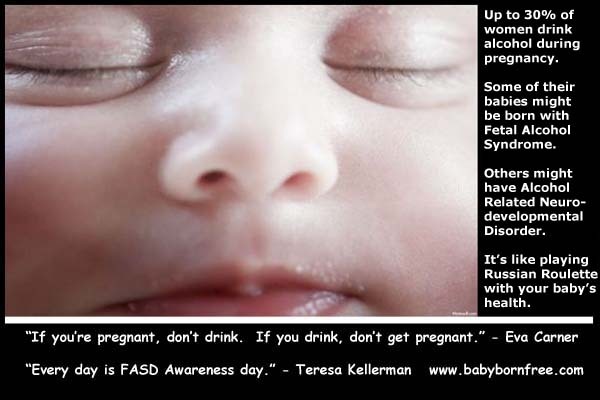 You know, you don't have to wait until September 9th to do this, because any day can be FASD Awareness Day! Announce your event on the FASD Center for Excellence event calendar as soon as you have a plan! 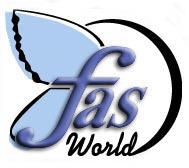 Share your ideas for FASD Awareness Day with others on the FASDAY mail list (very low volume). We'll all work together this year to make a difference that will last for generations to come!